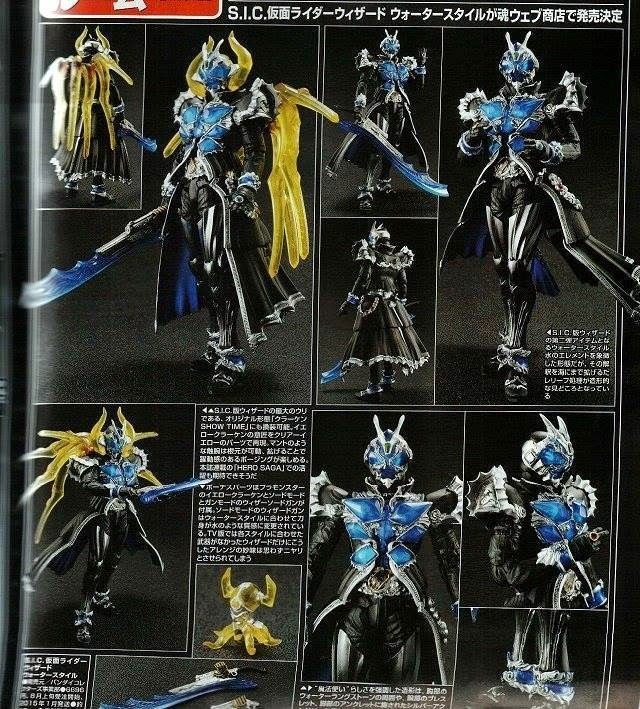 Latest toy hobby magazine scans have revealed the 2nd Kamen Rider Wizard form to be released for the S.I.C. line. This is the S.I.C. Kamen Rider Wizard Water Style. The figure represents Wizard's sapphire-based water elemental form, accessed through the Water Ring. From the scan above, it mentions additional armors and effects, wrist replacements, a unique Water Style WizardSwordGun and the Yellow Kraken Plamonster. This set is slated for January 2015 release for 6,200 yen.